The variety of gin styles on offer can cause confusion, so we have put together an up-to-date style guide to bring some clarity. It is worthwhile noting that it is concerned only with stylistic criteria and not those relating to legal requirements or production methods. It includes both long-established categories and new emerging ones. Classic gin should have a clean base spirit with a neutral flavour, allowing the distilled flavours of the botanicals to come through. The gin is juniper-forward and other common botanicals include angelica root, coriander seed, orris root, and citrus peel. In addition, some Classic gins refer to themselves as ‘Extra Dry’ gin, which is a reference to their use of a very neutral base such as wheat or grain (as opposed to molasses or grape). a catch-all term for gins described as ‘New Wave’, ‘New Western’, ‘New American Dry’, etc. In addition to these two, there are a number of stylistic gin sub-categories, some long-established, whilst others are only just being discovered. of these is sloe gin, but rhubarb, raspberry and elderflower gins are becoming increasingly popular. Genever: The precursor to gin, originating from the Low Countries, Genever is made using a mix of botanicals distilled with natural spirit and maltwine distilled from grain. The result is a spirit that has flavours of both its base spirit and botanicals. It can also be aged in barrels. In the EU, Genever has a protected geographical status and can only be made in Belgium, the Netherlands, and parts of France and Germany. Recognised categories include: Korenwijn, Oude, and Jonge. In the US, it is legal to make and sell a spirit labelled as Genever without adhering to the EU regulations. This has led to a product sometimes known as Giniver, which blends the lines between Genever and gin. Matured Gin: This is gin that has been matured with wood, either from barrels or wood staves. The practice dates from a time before stainless steel, when gin was stored in wooden casks. Yellow Gin: the influence of wood mellows the spirit rather than strongly flavouring it; these are mixed like regular gins. Distillery in Plymouth, Navy gin was also made by Burrough’s Distillery for Royal Navy ships at Deptford. In the case of Plymouth, it is the same recipe as the flagship Plymouth Gin, but bottled at a higher ABV. A related concept is Export Strength gin; spirit bottled for export overseas where duty is typically lower than in the UK and local tastes prefer stronger gins. These are bottled around 47% ABV. Old Tom Gin: A style originating from a time before cleaner, continuous distillation, when heavy botanical flavours and sweetening were used to cover up impurities in base spirit. 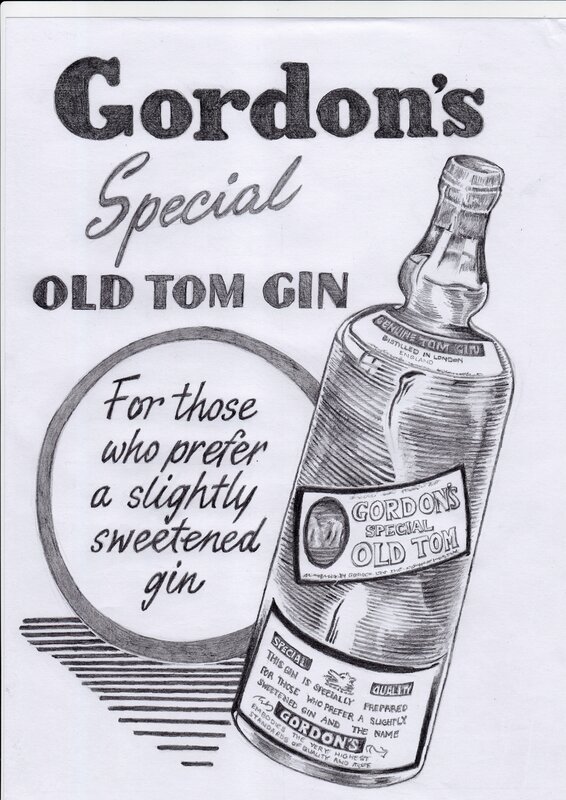 By 1960, Old Tom was little more than a dry gin with added sugar. Today, Old Toms embrace botanical intensity, are sweetened (either botanically or with sugar, honey, or agave) and, occasionally, have a light maturation in wood. Alpine Gin: A new style of gins from Austria, Germany, and Switzerland, born from a series of common characteristics that some gins from these countries share. These include strong, resinous pine/juniper notes, a restrained citrus character, and a focus on herbal, leafy, flavours. The style is possibly inspired by the regions’ history with making herbal liqueurs. Bush/Aussie Gin: Another recently identified category born from the recent boom in Australian distilling and the increased popularity of the Bush food movement. Over 80 per cent of flora and fauna are not only indigenous, but endemic to Australia and many are never exported. For gin, this means that distillers foraging for local botanicals may come across flavours that are difficult to recreate elsewhere. Look for bold leafy, citrusy, and/or menthol flavours. Borovička: A juniper flavoured spirit from Eastern Europe made from fermented and distilled juniper berries, this is often described as a Juniper Brandy or Eau de Vie. Whilst not technically considered ‘gin’ by the EU, it does have a dry, piney juniper flavour similar to that of dry gin. In countries such as Slovakia and Czech Republic, Borovička is used in a very similar way to dry gin. Signature Botanical gins are made entirely through distillation and focus on a specific flavour that is prominently identified on the label. Unlike Fruit gins, this flavour is a result of distillation, not added via maceration after distillation. Examples include Mocha gin or Orange gin. These identified styles are just the start – as innovation continues to grow, so will the need for additional subcategories.